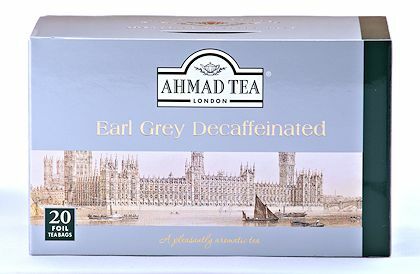 Twenty teabags of Decaffeinated Earl Grey tea from Ahmad Tea. Experience the same great flavor and aroma of Earl Grey, only without the caffeine. Each box depicts a charming British scene. 40 g. Individually foil-wrapped teabags. Packed in England.